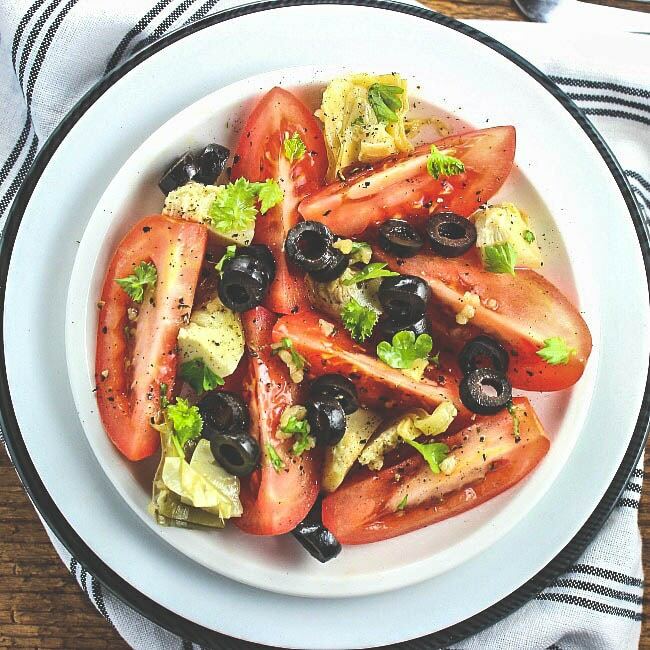 Tomato, Artichoke and Olive Salad is as simple as tossing the three ingredients on a plate and drizzle with an easy dressing. A great side dish or even a mid-afternoon snack. I keep a jar of marinated artichokes in the pantry because I love munching on them. A 1/2 cup serving of marinated artichokes contains 110 calories. 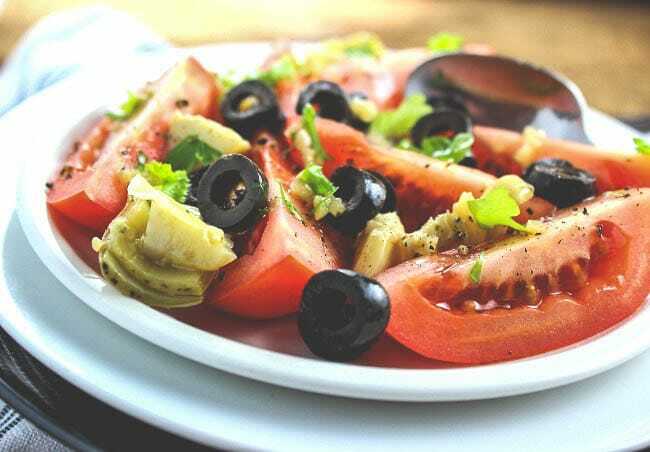 One serving of marinated artichokes contributes 5 grams of carbohydrates, including 2 grams of dietary fiber. It is also a great source of Vitamin C which is so important for your immune system. You really do need your fresh parsley in this recipe otherwise you’ll be disappointed in the taste. This is not me nagging this time – this is vital to the recipe, ha! Cheers! Place cut tomatoes on serving platter. Salt and pepper to taste. Combine artichokes, olives, parsley, olive oil, balsamic vinegar and garlic, mixing well. 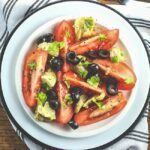 Spoon on to tomatoes and top with additional fresh parsley. Follow us on Facebook for more delicious farm-fresh recipes, and updates on our growing seasons! Recipe courtesy of Simply Fresh Dinners, A partner with Barrie Hill Farms in bringing fresh recipes to your table.